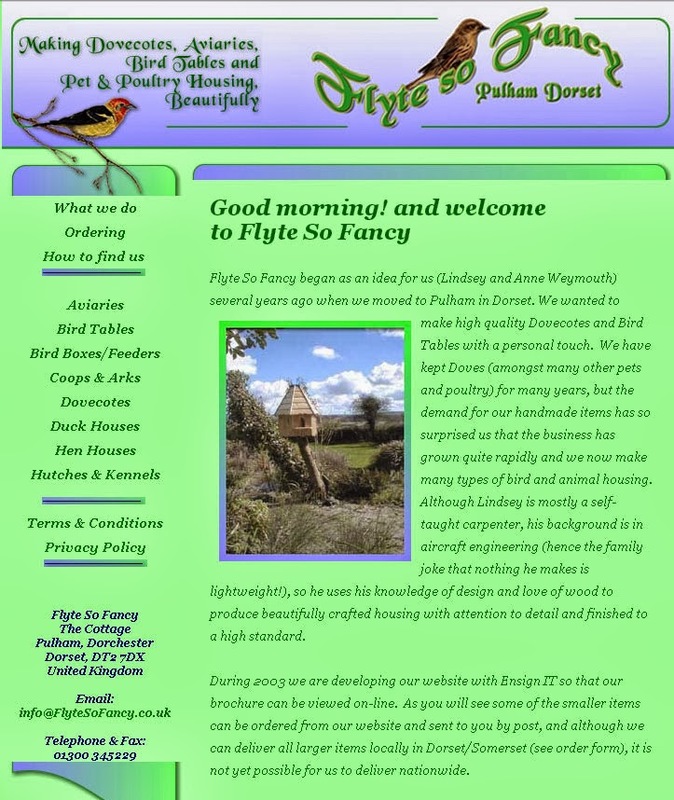 It has been 13 years since Flyte so Fancy started with Phill building bird tables and boxes and selling them on the side of the road, while Anne sat in an "office" roughly the size of my desk that I'm writing on today, and kept warm with a cup of tea. through the classic green leaves and gold of the last few years. But as she slowly moves through her teenage years, the Flyte so Fancy website has felt a need to be a little more grown up, to add a touch of elegance, of grace and of charm to herself. Which is why you might find when on the website this weekend that your favourite poultry supplies website has a different look about her. 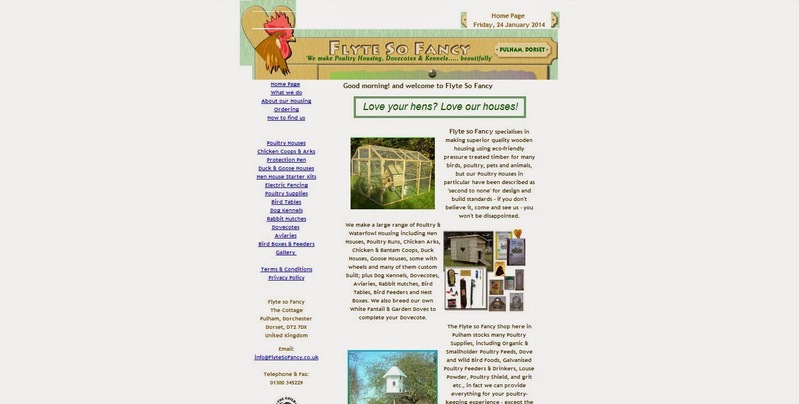 So, this weekend when shopping for a tub of diatom, perhaps some chicken feed or maybe you're in the market for one of our high quality top of the range hen houses, please take a moment to appreciate the Flyte so Fancy website and her refined, ornate new style. With the same level of superior customer service and this exquisite new look, we are sure we will be talking to you soon. Please do tell us what you think in the comments below? Just before Christmas (if you can remember that far back) my mother presented me with, what looked at first glances to be, a Tog 125,000 duvet. I personally have always preferred a thin duvet, more suited for someone sleeping in the desert heat of the Arabian peninsular, as opposed to the rolling hill splendor of Dorset's Blackmore Vale. However, it didn't take long with these cold snaps biting the country for my mind to be swayed, and I am now quite happy ensconcing myself in a 3ft thick cocoon of downy, sleep inducing, duvet each and every night. When it comes to cold spells and a nice sleep, our poultry pals can feel the pinch as well. Luckily Flyte so Fancy has a wonderful range of Poultry Bedding, to help keep your hens as snug as a bug in a rug through the cold winter months. 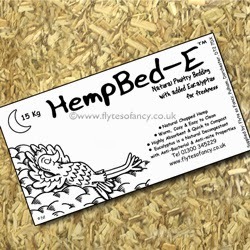 Firstly, at Flyte so Fancy we use (and recommend) HempBed-E Poultry Bedding. A chopped hemp bedding, it is both infused with eucalpyptus and under a new recipe contains small pellets of eucalyptus that keeps the bedding fresher for longer. It's odour eating properties are hugely beneficial during these long cold winter nights, when your hens will be inside the coop for longer, cutting down on the chances of respiratory issues. It is also a mild decongestant, anti-bacterial and much of our research points to it having anti-mite properties too. Incredibly absorbent, making cleaning easier and less frequent. Is natural, dust free and quick to compost. Impregnated with Eucalyptus, which has anti-bacterial properties. Our most popular bedding with great feedback from customers. Secondly, is the popular Aubiose Chopped Hemp Bedding 20kg bale. 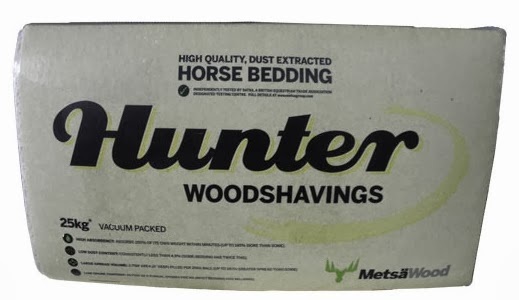 This bedding is used widely for horses due to it being highly absorbent and is made without pesticides, fungicides, herbicides or insecticides. Similar to the HempBed-E it is able to absorb 12 times the liquid of straw. It is also able to trap some smells. As it quickly decomposes it is ideal for gardeners and allotments. 20kg bale of highly absorbent Aubiose Bedding. Quick to decompose, is a highly organic fetiliser. Able to contain some of the ammonia smell that hens produce. Lastly, we have the Hunter Wood Shavings, 20kg Bales, and Chippets Wood Shavings 4kg. Compacted and dust free, wood shavings make great bedding for hen houses and pet housing, like rabbit or guinea pig hutches. Trationally widely used for henhouse bedding, until HempBed-E came along, it is still preferred by traditionalist poultry keepers. Here at FSF HQ we never advise using straw or hay as a bedding for poultry, and a convention has established around this idea. Straw can lead to mite issues as the hollow nature of the bedding allows mites to live, hide and thrive in the bedding underneath your birds, while hay when it gets damp can very quickly release mold spores, causing respiratory issues for your chickens, one of the biggest killers of poultry. As the hours tick by, hour by hour, seemingly ever slower, I look forward to my eiderdown palace of Morpheous waiting for me at home, safe in the knowledge that my chickens will be equally snug in their coop this evening thanks to a liberal handful of extra HempBed-E.
Any questions leave a comment below or give us a ring on 01300 345229. The eagle eyed among you will have noticed, while trying to purchase some of the delicious range of Natures Grubs Treats for your poultry pals, a small message and a link to our garden birds section. I thought i'd write up a small blog just to explain what is happening so you can explain it to your girls and we can avoid a nationwide egg laying strike. Always a terrifying possibility. Dried Crustaceans, such as river shrimp and dried terrestrial invertebrates, such as mealworms, are usually imported into the UK in accordance with Annex XIV, Chapter IV, Section 2 of Regulation (EU) No 142/2001, "the competent authority may authorise the importation of certain materials for purposes other than feeding to farmed land animals (except for feeding to fur animals) provided there in no unacceptable risk for the transmission of disease communicable to humans or animals". The problem is our beloved, cute, companionable chickens are classified as farmed land animals. What you feed your chickens is of course up to you, but what this means is that it is now illegal for us to "market" or sell anything that contains mealworms or insects as being FOR chickens. Natures Grub has gone through a re-branding exercise and all of their delicious treats are still available as they were from the Garden Bird section of our website, but cannot now be bought from our chicken feeds section. I hope this has been helpful for those of you who have been wondering what is going on. Bearing in mind that we all have our own views on EU Regulations, if you have any comments please leave them below or any questions please contact us on 01300 345229. With all this wet weather, cold weather, damp weather, moist weather and stormy weather that has been lashing our little corner of Dorset the last few weeks (and the rest of Britain as well for that matter) we have been extra vigilante with our chickens, ducks, guinea fowl, geese and the quail, to make sure their health stays tip top. While our hens are perfectly healthy and happy, they get fresh Hemp-E Bedding every week, their Oreganico poultry tonic in the drinkers and plenty of delicious treats to keep them happy, there are other things that you should keep an eye out for in this weather, and one of them is Scaly Leg Mite. Scaly Leg is caused by a small mite named Cnemidocoptes Mutans, that lives in the ground, or sometimes the floor of the coop, in damp conditions. It hurts the bird by burrowing under the scales of the birds legs or feet, where it causes great discomfort. It may also affect over-exposed areas like combs and wattles. 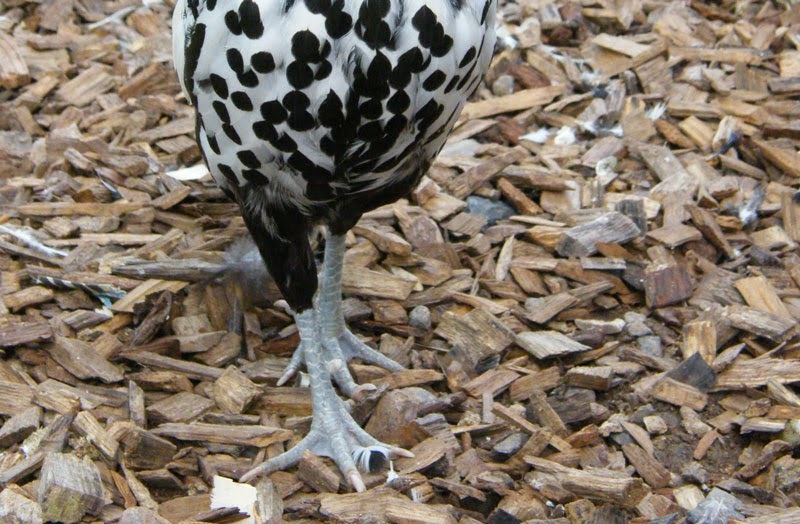 You can identify a chicken with scaly leg, as the scales on its legs will be raised and often the legs become thick and have a lumpy look to them. This lumpy appearance often appears as a white growth on the legs. As the mites that cause the problem are tiny and very hard to see, the infection is usually recognised through these raised scales. Scaly Leg is highly contagious, but tends to affect older or feathered legged breeds more. In its early stages it seems like a small problem, but should it be ignored it can lead to birds going lame and having difficulty perching. If repeatedly left untreated it can prove fatal to the bird, as further infections could occur. Any treatment will take time to have effect, with the white encrustations finally falling off and the legs returning to normal. Here at Flyte so Fancy we have a large range of treatments for scaly leg in chickens and here are a few of the best. Mild cases of scaly leg can often be treated by dipping your chickens legs in Surgical Spirit, equally you can use Petroleum Jelly to smother the mites, however this requires a certain amount of reapplication. One of the best treatments is Net-Tex Scaly Leg Remover. Coming in a spray bottle, it makes it easier to apply, especially if your chicken still has a bit of fight in them. The spray contains ingredients that kill the mite and soothe the leg. A great treatment to use, and perfectly safe to spray on all your birds regardless of whether you think they have an infection or not. For a more natural treatment, the Barrier Scaly Leg Spray and Barrier Scaly Leg Ointment contain natural ingredients making it ideal for the organic farmer. It is of best use as a deterrent as opposed to a cure, but works well as a treatment also. You might also want to try Ivermectin Drops, not licensed for use on poultry itself, it is often used on other farm animals, so can be used after advice from a vet. It can be applied straight onto the birds skin killing any mite. 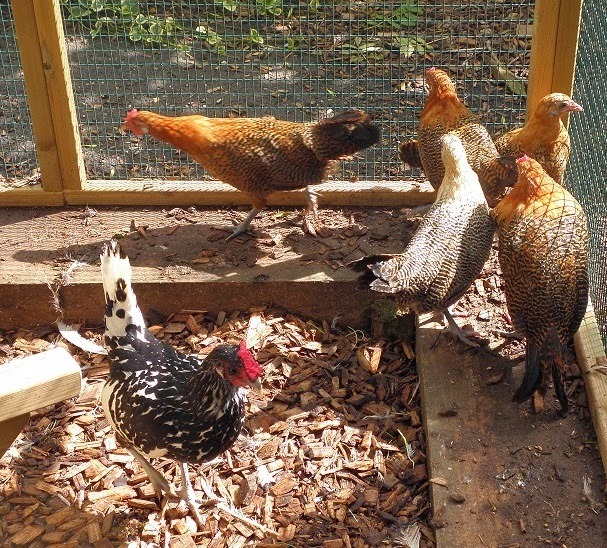 If you are suffering from a Scaly Leg Mite incursion, you might want to turn your attention to your chicken coop or poultry protection pen also. Give the house a good clean out with a disinfectant like Virkon. 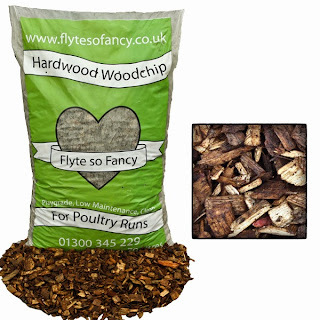 Also make sure that the run is as dry as possible (difficult in these conditions I know) perhaps by putting down a fresh layer of hardwood woodchips or using a sanitiser like the Net-Tex Ground Sanitising Powder (only if the ground is dry) or Stalosan, this should help prevent future infestations. Scaly Leg for Chickens is a nasty and uncomfortable experience for your girls to go through, but it also both easily treatable and avoidable. 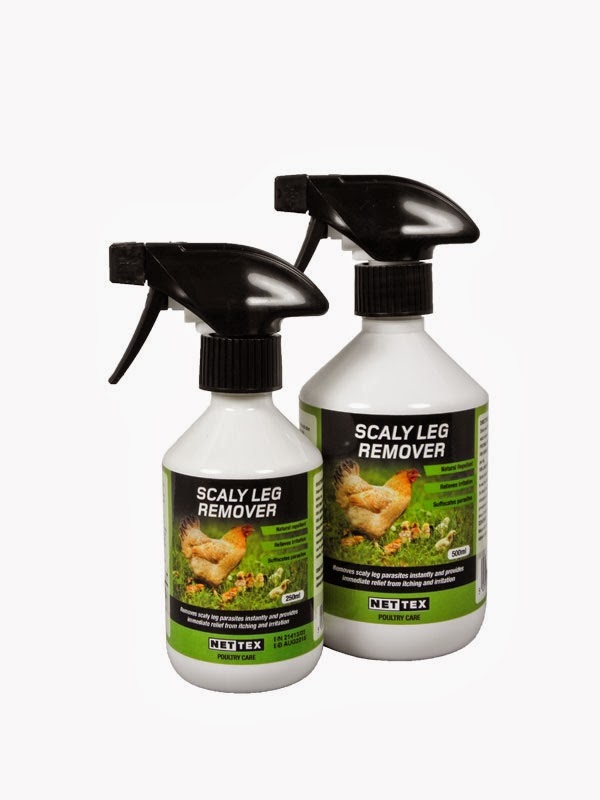 If you think your having a problem with Scaly Leg but are not sure, why not give us a ring on 01300 345229 or leave a comment and we'll see how we can help. January 9th 2014 marked the first day in six weeks where the country did not not have any Severe Weather Warnings upon it. Frankly, when the sun poked its head out from behind a cloud here in Dorset, everyone at Flyte so Fancy HQ took off so many layers you would of thought we had been hit by a tropical spell of unseasonably hot weather. 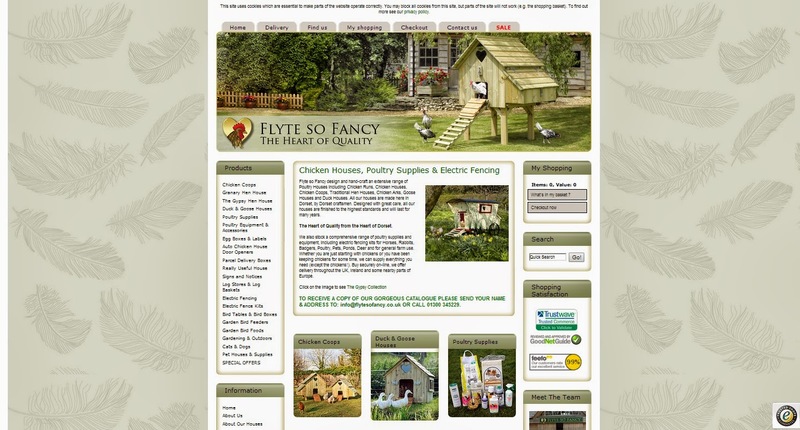 However, with more rain on the way, freezing conditions, mud, high winds and no doubt more classic British weather, many of our wonderful customers, while ordering their Flyte so Fancy chicken coops, have been asking about our hen houses' guarantee. It is a very important question. 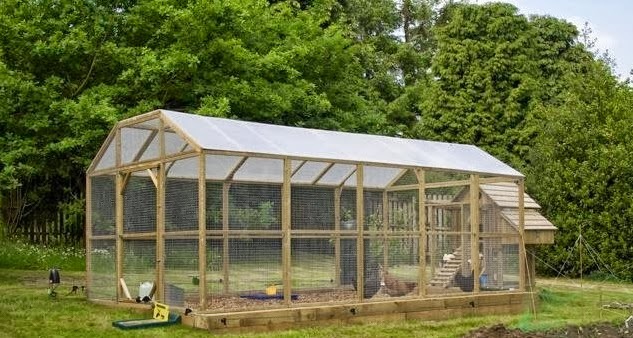 After the recent storms and bad weather it's understandable that people are concerned not only that they are buying the highest quality chicken coop (which all Flyte so Fancy hen houses are) but also that ALL of the hen house is guaranteed. Tucked away here in the Blackmore Vale in Dorset, we are surrounded by countryside, wildlife and woodland and we love it all, we especially love the woodland. We source our Scandinavian Redwood timber ourselves from one mill in Sweden, making sure it's only the best, slow grown close grained timber, superior for building with. Pressure treated with Tanalith-E, every piece of wood then spends time enjoying the Dorset wind and sun, drying out until it is at its optimum for building with. All this being said, wood is the living breathing part of the tree, and it can have a tendency to move with changes in temperature and humidity. 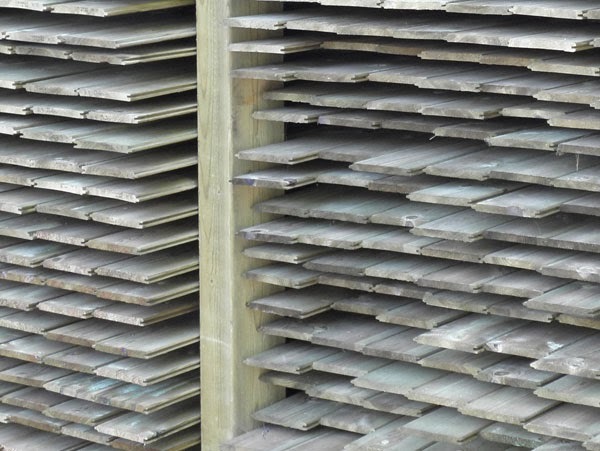 Whilst in our care, and in our timber yards, we do everything we can to make sure the wood does what we want, however we cannot guarantee that once on its own the wood will not do what it wants to do. Despite our dedication and adherence to only using the highest quality of timber, there may be movement or cracks that appear over time. We recommend that you treat your house twice a year with Burgess Marine Clearsealer to maintain its water resistant qualities. However if you feel that the wood is misbehaving too much we offer a NO QUIBBLE and NO EXCEPTIONS guarantee for the WHOLE HEN HOUSE for two years, covering everything from the smallest brass hinge, the floor and the roof to the Flyte so Fancy tag on the front of it. If ANY part needs replacing, we will do that. Here at Flyte so Fancy we are enormously proud of our reputation for quality and customer service. Which is why often, even after the two year guarantee is over, we still provide replacement parts to our customers if the hen house has suffered, only the other day we sent out a replacement ramp for a Hobby Duck House that is over five years old and still going strong. We believe we have a duty of care to you, our customers, for buying a high quality chicken coop, which is why, without omission or exclusion, we stand by our chicken coops and after six weeks of severe weather warnings and with black clouds swirling's above FSF HQ, having a full and completely encompassing guarantee gives real peace of mind. The Flyte so Fancy Catalogue is a much coveted tome of chicken coops and poultry feeds. A compendium of healthy tonics for your hens and a portfolio of poultry housing. This magnificent codex of chicken supplies is a wonderful handbook of all things possible and dreams that have to be put into the "one day" column (yes we're talking about you Gypsy Hen Houses). As we move into January, work on the Flyte so Fancy 2014 Catalogue is in full swing, and as I only have two jobs associated with preparing the catalogue (firstly, the unenviable task of trying to get Phill to sit still long enough to write a cover letter and secondly generally getting in the way) I thought I would turn the Flyte so Fancy Blog's attention to just how we create our magnificent brochure. 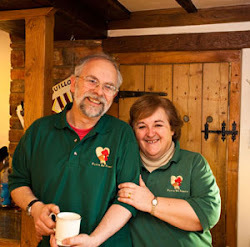 It usually begins around November, when Anne and Phill take to the previous years brochure, crossing out the old products and discontinued items. Once they have been crossed out its the turn of Anne's dreaded red marker pen to highlight where she would like new photos. All through the summer, as the sun shines down on our beautiful corner of the Dorset countryside, we like to take the opportunity to get as many gorgeous photos of our houses, in as many lovely places as possible, being given a test drive by our favourite feathered friends. A blank booklet is produced on the computer and with the help of our own very techno expert Gareth, the rough layout is produced. This is then built on, with products being added here, new expert advice dispensed onto the pages and up to date photos put in place. For example our new Chickenguard Automatic Door needed a full page to show off its fantastic functionality and usability. With some thought, planning and shifting of the various pages, it is allowed to go next to the VSB units, giving the reader our full selection of Automatic Door Openers for chicken coops on one page, making an improved and better catalogue to read. After everything is in it's place, a physical copy goes to Anne and out comes her dreaded red marker pen again. This continues to roughly January, until everything is just perfect. This is where I enter the picture and have to get Phill out of the workshop long enough to write his covering letter. Nowhere near as easy as it sounds, as the man would much rather be in the workshop tinkering. Anne of course never being any trouble. That is the state of the Flyte so Fancy 2014 Brochure as I type today. Phill and Anne are sat with a red marker pen going through it one more time and my idea for a new front cover of a chicken giving a thumbs up has been completely ignored for a third year in a row. The front cover is kept top secret and is just as much a surprise to many of us here at Flyte so Fancy as it is our customers. Very soon it will be leaving us for the printers and upon returning, will soon be winging its way around the country and through your letterboxes. 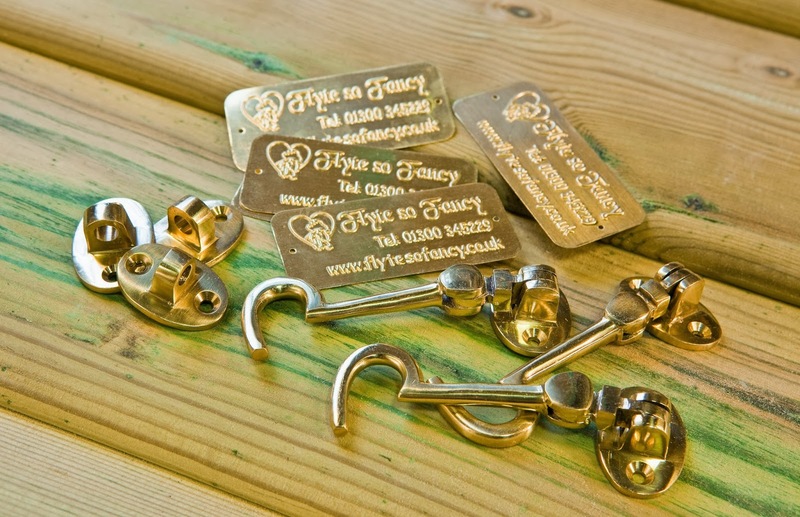 If you want put your name down for a Flyte so Fancy 2014 brochure now, give us a call on 01300 345229 and we will add you to our already considerable and ever growing list. Here in the Blackmore Vale in the centre of Dorset, things are beginning to move past damp, through soggy and onto just being wet. The rivers have been up over the roads, puddles up over my wellies and Notus the bringer of storms has seemed to sit endlessly over our little corner of the countryside. Even the Flyte so Fancy ducks and geese are beginning to look fed up with it all. But while our ducks and geese are just about happy sitting around in the rain, over the Christmas holiday we have been keeping a weathered eye on our flocks of chickens, to make sure they they keep dry and sheltered. It is always important that your hens have somewhere nice and sheltered to stay out of the rain (or the sun for those three days in July that it decides to shine) to keep dry. While soggy feathers is bad enough, it is equally important to give them somewhere out of these strong winds. Wind through the feathers can quickly turn a hen cold, especially smaller bantams, so having a shelter or perhaps a wind proof skirting around the bottom of your run (see picture below of our Gold Sebrights enjoying the protection of a wind proof skirt on their Aviary 8) can work wonders in keeping your chickens happy by preventing them being buffeted by the wind. Sheltered spots are also ideal for feeders and drinkers to stop them blowing over in this high winds, leaving your hens without food or water and ending up a waste of time and money. Another good addition in this horrible weather to keep your hens sheltered is a polycarbonate roofing for your run. Fixed to the existing run roof panels, this lightweight roofing will provide a dry area for your girls as the rain water runs down the roof and to the side. Another advantage is that it stops your chickens feeders and drinkers becoming contaminated from outside by wild birds and other such things. I would be surprised if there is a dry area left in anyone's garden. The ground is saturated and with more rain on the way it doesn't take long for soil to become a mud bath. A mud bath that our beloved girls will have to hitch their skirts to wade through. Here at FSF HQ we have been topping up all of our poultry housing with runs and poultry protection pens with a few extra bags of hardwood woodchip to keep our girls clean and dry. Sitting on top of the mud, the woodchip provides a barrier for chickens to walk on and being a hardwood woodchip will not turn to mulch (like bark does!) as soon as it gets wet but remain an effective barrier to mud spreading through your run. A good layer of woodchip is vital during weather such as we are having at the moment. A clean dry run, as well as having the added advantage of being far more hygienic for your hens, will keep your chickens happy during all this rainy weather. A dry sheltered hen is a happy hen and while the "Rain it Raineth Everyday" keeping your chicken coop clean and tidy is a daunting task. However, as we know here at Flyte so Fancy, with more rain forecast for the next week or so, a few simple precautions, like shelter and a dry surface to walk on can make all the difference in keeping your hen healthy and happy in this abysmally wet winter we are having.